Denmark bans Marmite! No fortified vitamins from other countries! 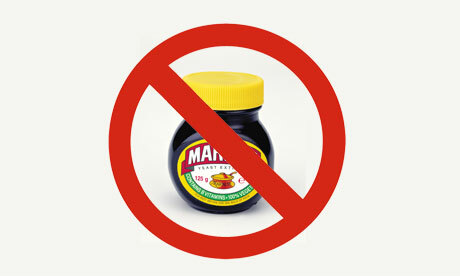 Love it or hate it ( I love it), Marmite has just been banned in Denmark. What the hell is going on you may ask. Well its all down to fortified vitamins and an Denmark directive that has been pushed since 2004 in order to crack down on products that are actually good for you! Some are saying its only targeting outsider countries products and not their own. Discrimination? Crazy I know! I love it on some toast and strong cheddar cheese, melted under the grill. Delicious!